Today’s economic climate means that anyone involved in training and development must be able to measure its effect on business performance. With a focus on costs, benefits, and return on investment, this book provides a comprehensive reference for those who are learning about or implementing an evaluation system. Increasing management support for HRD programs. With end-of-chapter discussion questions and an accompanying online Instructor Guide, this fourth edition provides sound theory and practical solutions. 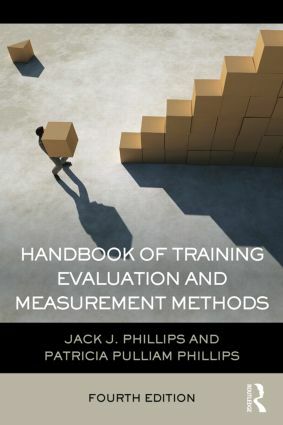 The Handbook of Training Evaluation and Measurement Methods is a complete and detailed reference guide suitable for HRD professionals and students in advanced courses in HRD, training evaluation, and program evaluation.